In light of PM's trip to Germany, MK who drafted bill decides to postpone vote in key ministerial committee by another week. 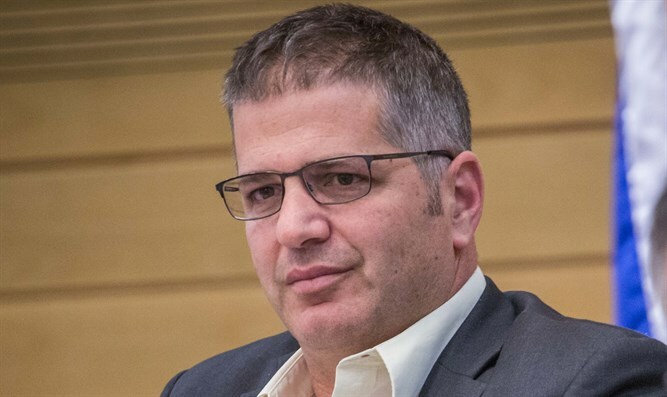 MK Yoav Kish (Likud) said on Thursday that a discussion that was to have taken place this Sunday at the Ministerial Committee for Legislation on the "Sovereignty Law" would be postponed by another week. "In light of the prime minister's trip in a political mission to Germany, I, together with MK Betzalel Smotrich, announced to the justice minister that we request to postpone by a week the discussion on the Sovereignty Law in the Ministerial Committee for Legislation," he said. The law, which aims at the application of sovereignty over Judea and Samaria, was to have been brought to a vote this past Sunday in the Ministerial Committee for Legislation, but was transferred to a meeting of coalition heads, where it was removed from the agenda. Speaking to Reshet Bet on Tuesday, Jewish Home Chairman Naftali Bennett said, “On Sunday, the prime minister asked that the law not be brought up until further notice because of the events in the North and because of the dialogue with the Americans. I told him that I definitely agree with the postponement because of the events in the North - but with respect to the American issue I I want to understand more, and I reserve the right to raise it next week. "